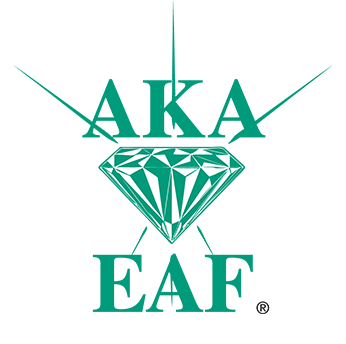 The Foundation benefits from the sale of related products. 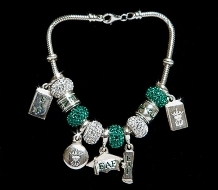 Proceeds support the mission of providing perpetual support for lifelong learning. 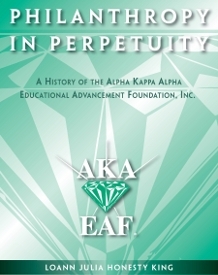 Told by the women who made it happen—the women who had a dream, the wisdom and courage to never give it up, and the talent and skills to put it together—this is the whole story of how a tiny seed planted in 1980, Operation Self-Help, blossomed into the fully self-sustaining Alpha Kappa Alpha Educational Advancement Foundation of the new millennium. 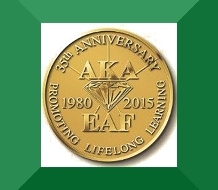 Purchase your Limited Edition 35th Anniversary Commemorative Pin. 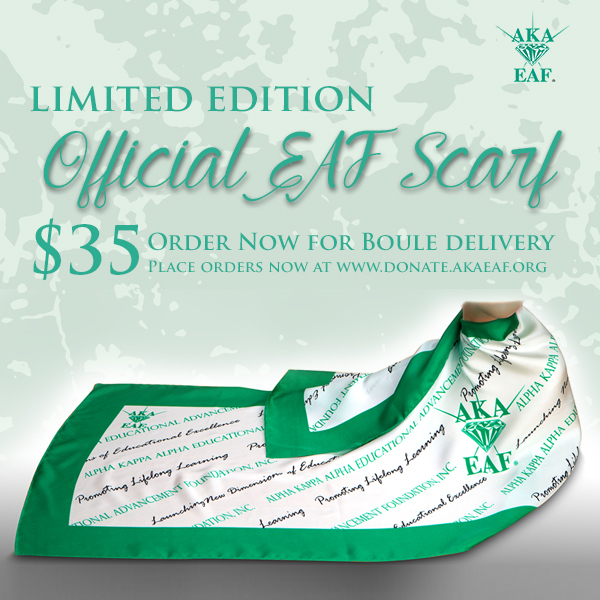 Please visit Donate.akaeaf.org for more information. 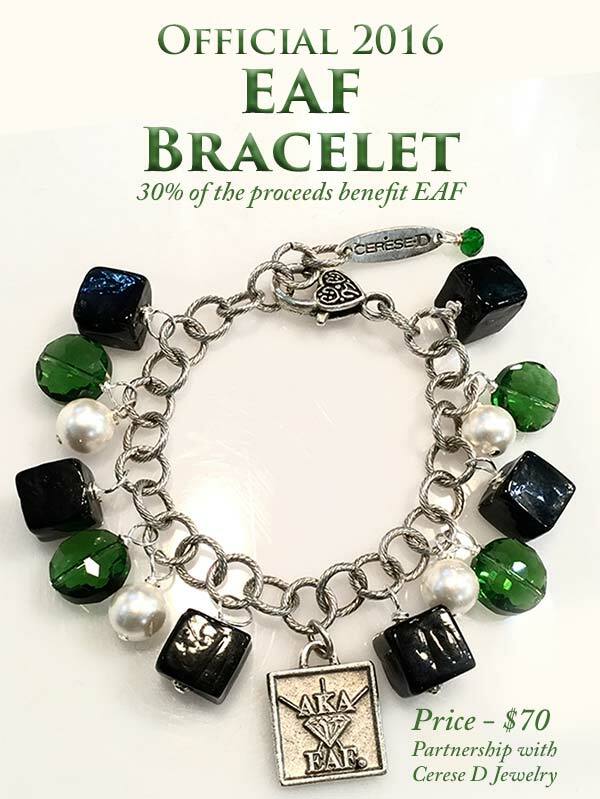 Presenting the EAF Sterling Silver Bead Offering and Bracelet. For more information please call 1-800-333-1911. Art Icon bag – Please visit galleryguichard.com for more information. 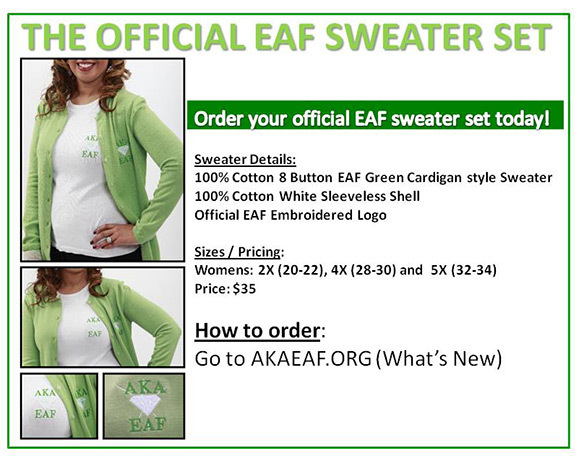 Order the Official EAF Sweater Set. To place an online order, click here. To order by mail, click here for a downloadable form.